There’s a reason Carter’s is continually voted best carpet cleaner. Quality and customer service. It’s that simple. In a time when these two things seem to be going by the wayside, Carter’s remains focused on what really matters. Quality cleaning and genuine customer service are what the this small business was built on. Carter’s does what it takes to get your carpet as clean as possible. They don’t cut corners and they don’t “bait and switch”. They employ local, honest technicians who you can trust in your home. If you’re in the process of searching for the best carpet cleaning, you’ll find it with Carter’s Carpet Restoration. The best carpet cleaner will use premium cleaning products because they result in a superior clean for your carpet. There are constant advancements in cleaning technology. Carter’s stays informed about these innovations therefore they can offer you the best cleaning for your carpet. You’ve seen the best carpet cleaner trucks driving around? Carter’s runs a fleet of over-sized box trucks that are superior because they offer you deeper cleaning power in the form of steam and vacuum. The higher temperature steam dries more quickly and the stronger vacuum power pulls more moisture out during the carpet cleaning process. As a result, you get a deeper clean and faster dry time. Above all, being the best carpet cleaner is important to Carter’s so they only hire the best! To see the best carpet cleaners visit the “Meet Your Technician” page. You’ll meet to some of the most kind, funny and incredible staff that Carter’s has ever had. If you’re looking for the best carpet cleaner, you can end your search now. Carter’s quality and customer service is superior that’s why you should call today to schedule your cleaning. Call now, you’ll be glad you did. 916-933-7807. Looking for some DIY carpet stain removal tips? You’ve landed at the right place. As professional carpet cleaners, Carter’s understands that people can’t call a professional every time a spill happens. Carter’s gives helpful and safe advice for DIY carpet stain removal in between professional cleanings. Spills happen, however, you can be prepared to remove stains when they occur. Read on to learn how to remove stains with safe and simple household products. 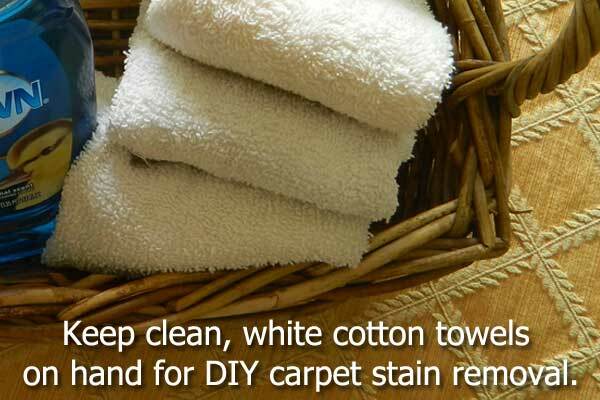 The first thing to keep on hand is a stash of clean, white cotton towels for DIY carpet stain removal. Colored towels run the risk of transferring color to your carpet, hence it’s safest to stick with white. Cotton is a very absorbent material and results in more moisture and stain removal power when doing DIY carpet stain removal. If you don’t have white cotton towels on hand, you’ll be fine with plain white paper towels. It may sound funny, but old-fashioned white foam shaving cream is great for DIY carpet stain removal. Foam shaving cream is an air-filled soap and when used for stain removal it has the benefits of soap without the concentration. Foam style shaving cream is a lot easier to rinse out of your carpet fiber than over the counter cleaning products. This means the shaving cream leaves less residue than most cleaning products, resulting in healthier carpet. You see, soap residue is something you don’t want in your carpet because dust and dander will stick to it. Over time, spots cleaned with soapy cleaners become darker and look dirtier than before, thanks to sticky soap residue. Ready to remove some stains? Foam shaving cream is best used for dry stain removal, like make-up or dry soils. First, get the stain damp with a moist towel. Then spray some white, foam shaving cream over the spot. Use the moist towel to rub the spot in a circular motion. The shaving cream will slowly break down stain. Next, mist the spot with a spray bottle of water or simply wipe the area with a damp towel. You can repeat this process until the spot is removed. It may take several attempts. White vinegar is another safe household product that can be used for DIY carpet stain removal. The vinegar does not leave a soapy residue (as mentioned above) and it can help with odor issues. Typically a 50/50 mixture of white vinegar and water will safely clean up liquid stains like vomit or pet urine. Clean up as much of the stain as possible by absorbing any moisture with your clean, white towels. Sometimes it’s easiest to cover the spill with your towel and stand on it. After you’ve removed as much of the spill as you can, get your spray bottle of white vinegar and water. Spray the affected area heavily. Again, you’re going to use your white, cotton towels to remove the moisture. Continue to spray and remove with towels until you are satisfied. The white vinegar will help neutralize possible odor and it won’t leave a residue. If you ever need an excuse to buy a bottle of wine, here it is! White wine can be very effective in DIY carpet stain removal of red wine stains. For detailed instructions on DIY red wine removal, check out this blog post. And if you enjoy red wine, make sure you keep a bottle of white on hand in case of a spill! El Dorado Hills carpet cleaning expert Carter’s Carpet Restoration has been voted the #1 Carpet Cleaning Service or the area’s Best Carpet Cleaner, receiving awards year after year from the Village Life, Style Magazine, and the Mountain Democrat! The best carpet cleaning begins with the best customer service, and that’s what you get with Carter’s! From your initial phone call to the completion of your service, you won’t be disappointed! You can meet the Carter’s professional, uniformed, and certified technicians right here! These men are some of the nicest guys you’ll ever meet, and each one has passed a thorough background screening. They are highly trained in carpet cleaning, tile cleaning, wood floor cleaning, and even upholstery cleaning. Be sure to choose a carpet cleaner who you trust in your home. The Carter’s commit themselves to doing whatever it takes to get your carpet as clean as it will come. If you’re not satisfied, they will return and re-clean your carpet at no charge. Dean & Karen have the highest standard when it comes to employees. Dean simply won’t hire anyone who he wouldn’t invite into his own home, with his wife and children present. Carter’s uses the best El Dorado Hills carpet cleaning products, superior cleaning equipment on large, box trucks – not vans! This is important because these large trucks offer higher temperature steam and stronger extraction power. The end result give you a deeper El Dorado Hills carpet cleaning with carpet that is Dry To The Touch before the technicians even leave your home! Did you know that Carter’s charges by the square foot, not by the room for El Dorado Hills carpet cleaning? 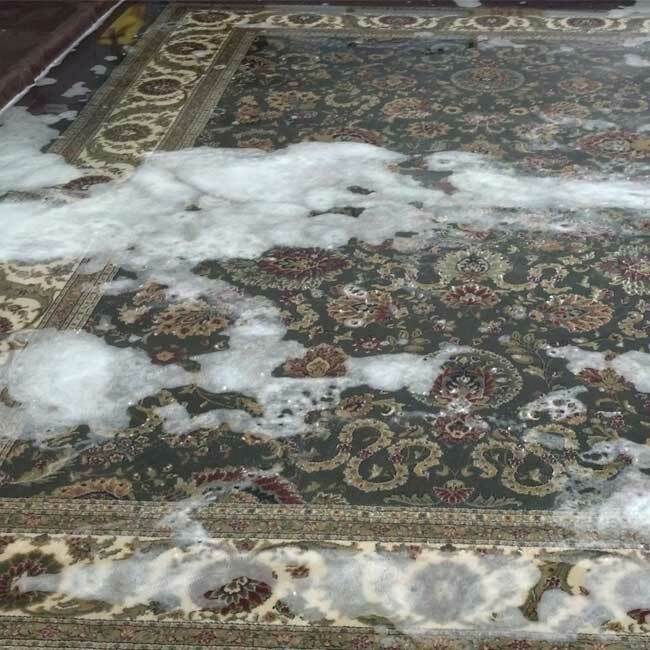 Unlike by-the-room services, you only pay for the carpet you have cleaned. Carter’s Carpet Restoration is centrally located in the El Dorado Hills Business Park. With a simple phone call, it’s easy for you to schedule your El Dorado Hills Carpet Cleaning. Appointments start as early as 8:00 AM, and Carter’s even has Saturday appointments for El Dorado Hills carpet cleaning! Carter’s is here for you and can even schedule FREE ESTIMATES for any El Dorado Hills Carpet Cleaning. If you have questions about the condition of your carpet, or maybe you’re just not sure if a steam cleaning is right for your carpet, call now! You’ll be glad you did. (916) 933-7807. Carpet cleaning El Dorado Hills delivered by local expert Carter’s Carpet Restoration provides the deepest carpet cleaning available. That explains why Carter’s has been voted the #1 Carpet Cleaning Service or the area’s Best Carpet Cleaner, receiving awards year after year from the Style Magazine, Village Life, and the Mountain Democrat! The best carpet cleaning starts with the best customer service, and that’s what you get with Carter’s! From your appointment-setting call to Carter’s, through the professional cleaning applied by your uniformed and certified technicians, you’ll know you’re in the best hands! These gentlemen are some of the nicest guys you’ll ever meet, and each one has passed a thorough background screening. They are highly trained in carpet cleaning, tile cleaning, wood floor cleaning, and even upholstery cleaning. They commit themselves to doing whatever it takes to get your carpet as clean as it will come. If you’re not satisfied, they will return and clean your carpet at no charge. Dean has the highest standard when it comes to employees. He simply won’t hire anyone who he wouldn’t invite into his own home, with his wife and children present. Carter’s uses the best cleaning products, superior cleaning equipment on large, box trucks – not vans! This is important because only trucks offer higher temperature steam and stronger extraction power safely. This means you get a deeper carpet cleaning in El Dorado Hills, guaranteed to be Dry To The Touch before the technicians leave your home! Did you know that Carter’s charges by the square foot, not by the room? Unlike most by-the-room services, you only pay for the carpet you have cleaned. Carter’s Carpet Restoration is centrally located in the El Dorado Hills Business Park. This makes it easy for you to schedule your carpet cleaning in El Dorado Hills. Appointments start as early as 8:00 AM, and Carter’s even has Saturday appointments for all your El Dorado Hills floor care needs – and convenience! Carter’s is here for you and can even schedule FREE ESTIMATES for any carpet cleaning in El Dorado Hills. If you have questions about the condition of your carpet, or maybe you’re just not sure if a steam cleaning is right for your carpet, just call (916) 933-7807 today. If you’re looking for the best steam cleaning company around, you’ve found it! Carter’s Carpet Restoration is a local, family run business that takes pride in their cleaning and their customer service. Did you know Carter’s is consistently voted best carpet cleaner, year after year, by the Style Magazines, Folsom Telegraph, Village Life and The Mountain Democrat? Not all carpet cleaners are the same, there’s a difference in cleaning equipment, cleaning products, and employees. With Carter’s you’re guaranteed the best of everything! In business since 1989, Dean & Karen Carter will provide you with the best carpet cleaning available. And that’s a guarantee! You’ll be pleased to know this premier professional carpet cleaning business maintains a consistent A+ rating with the Better Business Bureau. All employees are background screened and uniformed. You can even meet your technician before he arrives at your home. You may be surprised to learn that Carter’s offers more than just one type of carpet cleaning. Check out the carpet cleaning page to decide which cleaning, either dry-steam or VLM (very low moisture) is right for you. Carter’s certainly doesn’t claim to be the cheapest company around. They don’t offer a “$99 whole house special” and they don’t do “bait and switch” marketing. If you’re serious about getting the best cleaning possible, start with Carter’s. You pay by the square foot, not by the room. Carter’s measures up the areas of carpet that you want cleaned, and that’s what you pay for. There are no pushy salesmen or hidden fees for heavily soiled areas. You should know that pet odor removal is an additional expense. Please, be sure to mention any pet issues you may be concerned about when you call for a free estimate. Just like people, area rugs are incredibly diverse and beautiful! Their size, color, shape and fiber all vary greatly. You have many options for area rug cleaning. You can bring your rugs directly to the Carter’s office and cleaning facility, conveniently located in El Dorado Hills. Rugs can also be cleaned in your home, during one of your regular carpet cleaning appointments. With the most powerful trucks around, Carter’s is the obvious choice for stone, tile and grout cleaning. 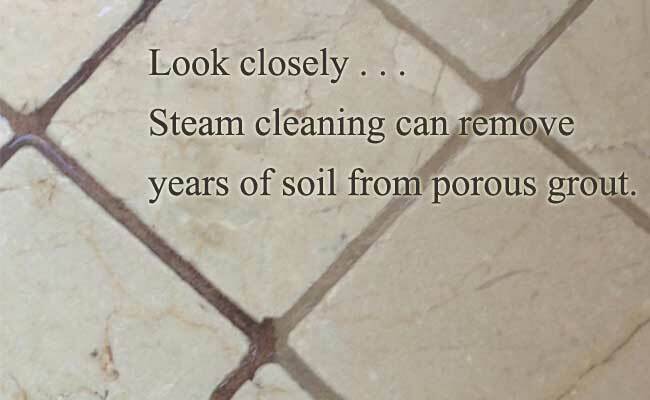 Carter’s uses the combination of steam and extraction to remove deep down soil from porous grout lines. The results are often incredible! Besides just cleaning your wood floors, Carter’s has the ability to strip away wax finishes. Consider having a protective finish applied to really make your wood floors shine! Have questions about a wood floor cleaning? Call today, you’ll be glad you did! If you have questions about price or procedure on any of the services, just call. Dean and Karen will be happy to answer your questions and provide you with an estimate. You can also call to schedule an in-home estimate with no obligation. Does Carpet Cleaning Kill Fleas?